During an art career of nearly 50 years, Mike has developed a broad and deep understanding of the painting process. Because of this he is in high demand to teach art workshops. He conducts workshops throughout the year in the Santa Fe and New Mexico region as well as other select domestic and foreign locations. 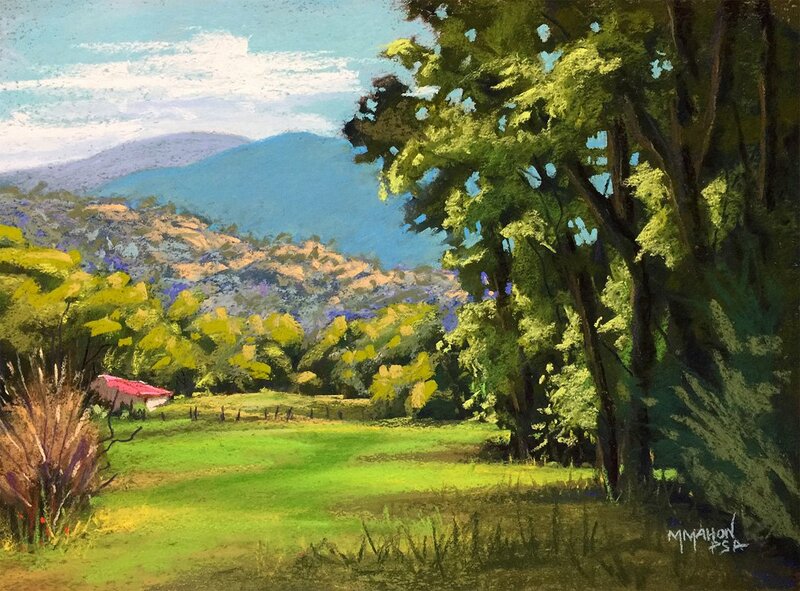 Mike’s most popular workshop teaches step by step landscape painting for beginners as well as experienced artist in both oil and pastel. His signature DiVine SETUP systematic painting and critiquing process helps artists young and old to remember his step-by-step process to work through any problems or blocks, and helps them get from blank canvas to a finished piece with a painting they can be proud of, no matter the medium. For a select few artists Mike provides online art coaching. Whether it is as an artist mentor, artistic coaching, or creativity coaching, Mike provides personalized one on one help to the aspiring artist. Because of his long career there are few challenges he has not face. His goal is to help motivated artists gain from his experience and greatly accelerate their skill development and art career. Mike’s YouTube channel for demos and tutorials. 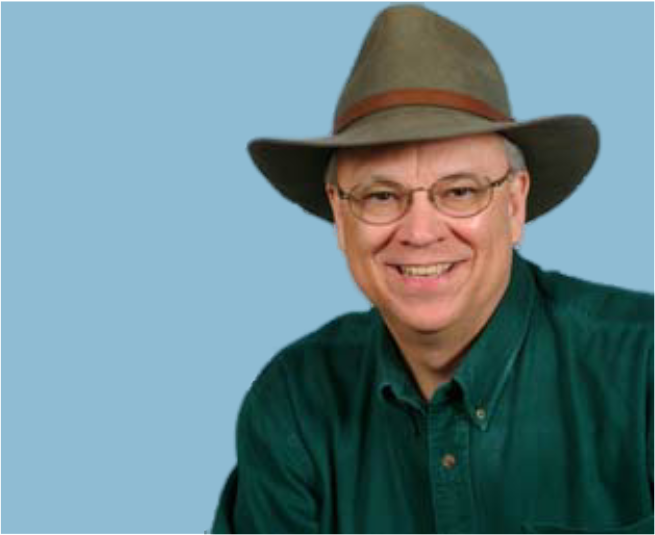 Click here if you would like to visit Mike’s YouTube channel to view his demonstration portrait, landscape, and teaching videos. 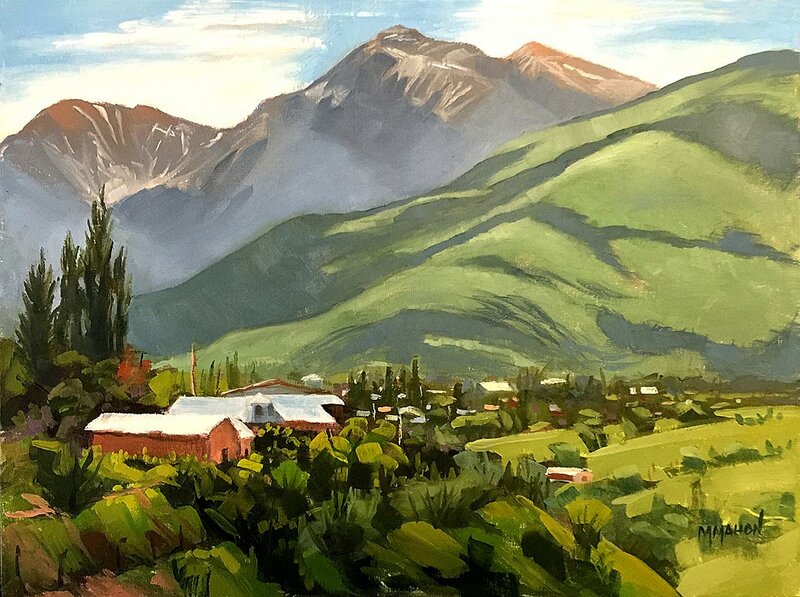 If you want to see how to paint a landscape for beginners, check out his teaching videos that take you step by step through the process. Please subscribe to Mike’s YouTube if you want to be notified when he posts new videos. 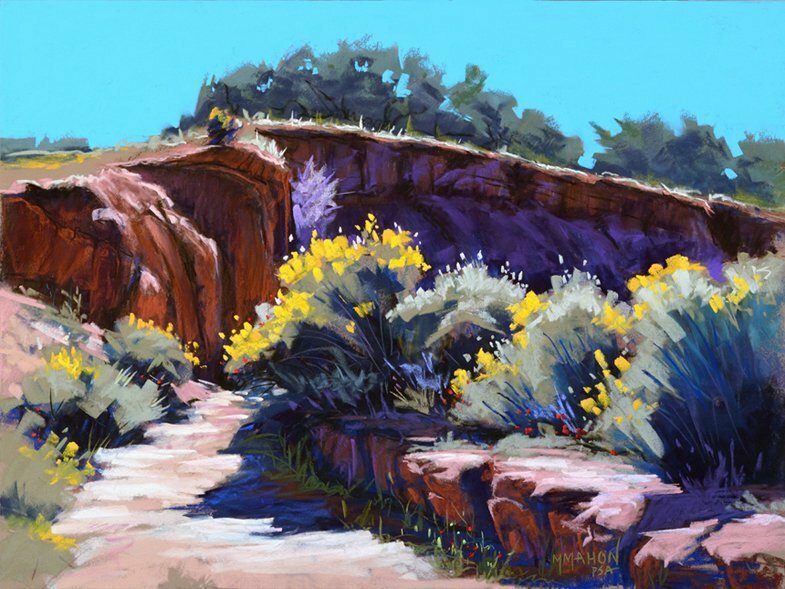 Mike Mahon is a signature member of the Pastel Society of America (PSA), the American Plains Artists (APA), and the the Pastel Society of New Mexico (PSNM) and the Plein Air Painters of New Mexico (PAPNM). 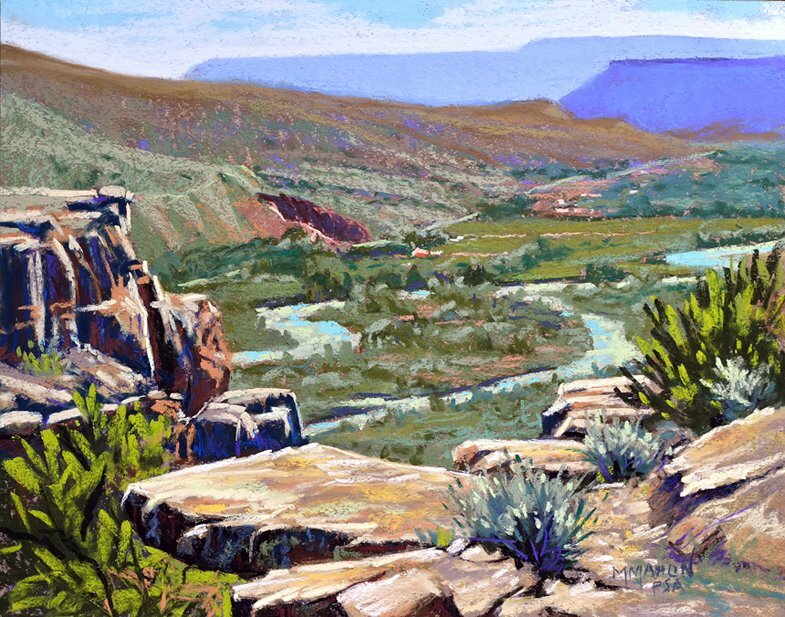 For nearly 50 years, Mike Mahon has captured the essence of the Texas, New Mexico and Santa Fe areas through his landscape paintings and portraits. His works focus on the unusual and off-the-path scenes, catching slice-of-life vignettes in bright and vibrant colors in his impressionist style pastel and oil paintings. 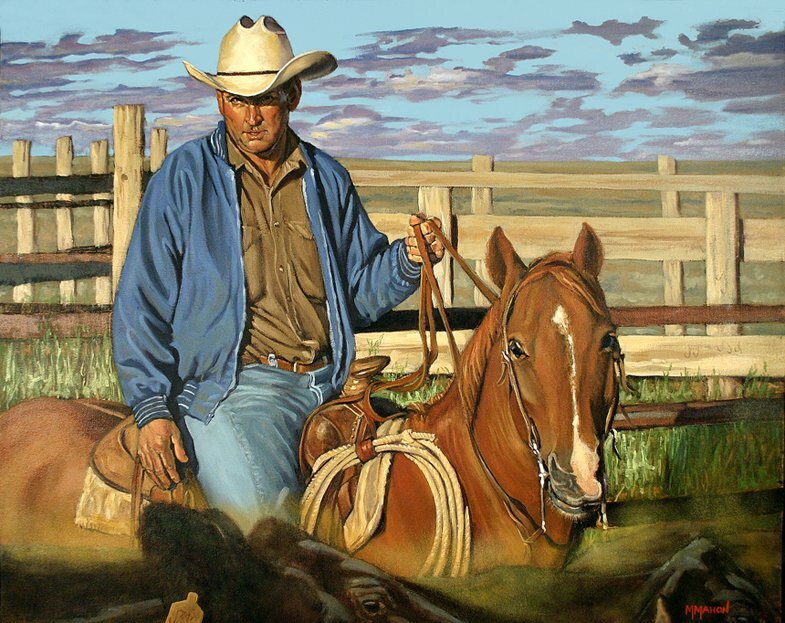 Mahon has studied under several internationally recognized artists, including Ben Konis (pastel and oil), Kim English (oil), Judi Betts (watercolor), John Budicin (oil) and Albert Handell (pastel and oil). He also has past experience in fine art, commercial art and photography, as well as previous work as a film animator, all of which has given him a unique and versatile eye for expressing himself through pastel, oil, acrylic, watercolor and photography. His vivid colors, realistically capturing the light and shadow of the scenes he paints, have also earned him national and international recognition. 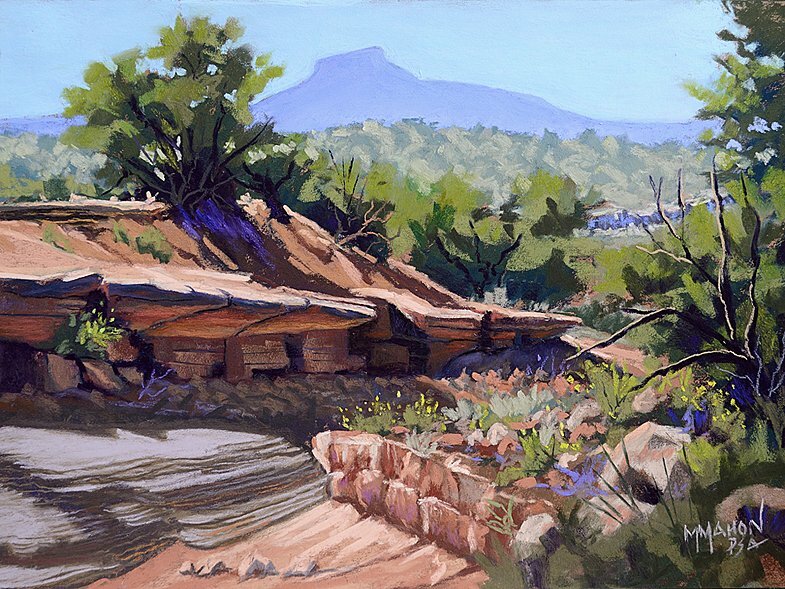 Mahon was featured as one of the artists in the 2004 edition of 100 Ways to Paint People and Figures, published by “International Artist Magazine.” Mike has been honored with many first place and Best of Show awards for his work including recently Best of Show at the Plein Air Painters of New Mexico 2014 Santa Fe Paint Out. Mike is a well known and effective workshop instructor, teaching painting workshops through out the country. 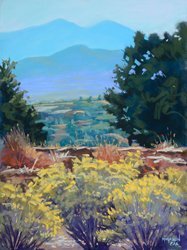 His emphasis is on teaching a pastel and oil painting landscape step by step process. He applies his step by step process to portrait painting as well. He is currently developing comprehensive online painting classes for adults. He also provides art coaching for artists interested in learning how to paint with pastels and oils. Please join his email list to be kept informed of events and classes. 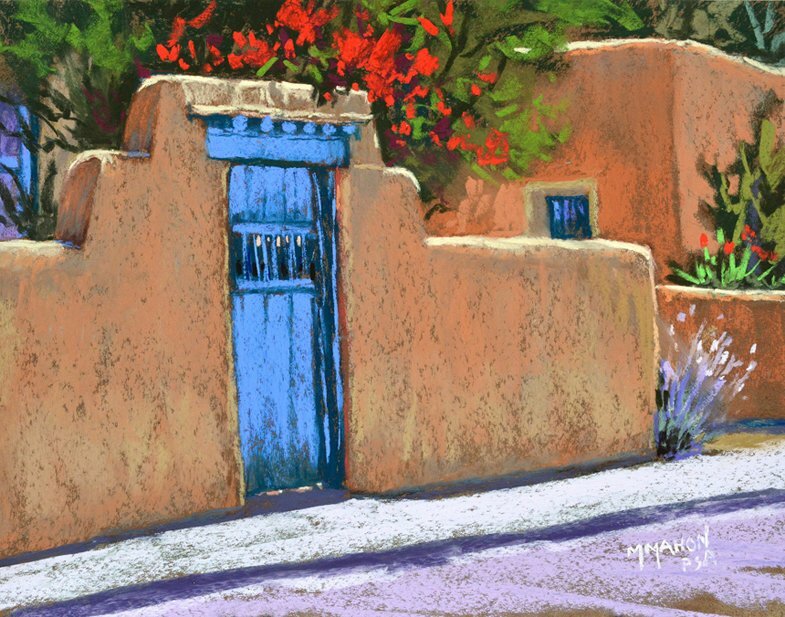 He also is a Signature member of the Pastel Society of America (PSA), Plein Air Painters of New Mexico (PAPNM) and Pastel Society of New Mexico (PSNM). This Book by International Artist Magazine features Mike with 99 other artists from all over the world! and you are interested in purchasing any of his work, please contact that gallery. 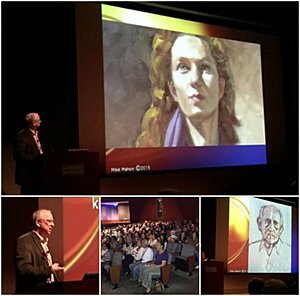 In May of 2016 Mike Mahon presented a 3 part “Mastering the Painting Process” workshop for museum members and community in preparation for the opening of our California Bounty: Image and Identity, 1850 – 1930, the first curatorial interpretation of the museum’s distinguished painting collection since 1994. Sponsored by Skirball Museum, Mike presented to the LA public schools teachers a one-day seminar on integrating art principles, esp. drawing the human face, into educational programs. 16 western states. The Fall issue will also include a feature article about Mahon and his art.